Having gone through face to face interview, you feel good that everything went well. Probably you might be having a second session when the finalization is done. When the technical aspects of the job profile are being completed, the next person of the organization that you will face is the hiring manager. The hiring manager is to bring out the expectations of salary factor that you are looking forward to for this job. He/she poses these questions, “So, what is your expected salary?” or “What is your salary expectations?” Whether you have or haven’t been exposed to this, you need to trade on this carefully so as not to jeopardise your selection. For job seekers, it’s essential to be aware of the market trends and get to know how the job demands and how much are they paid. There are many ways to answer this questions that depends on the way it is put out. Let’s review some of the tips given. Before embarking on the interview process, you might be reviewing on the aspects of the job and what is the profile. As you understand the job description along with what the responsibilities are going to be associated with the job, research on the salary that is being offered. Chart out differences between metro city and medium town as there are differences in the payment based on the living standards and from country to country. Payment varies from jobs in the metro city to that of medium town. So identify which type of city you are going to? This way you can determine your salary range. While answering predetermine a specified salary range expected that you intend to ask for. Moreover, it’s imperative to keep your focus on the type of organization and their standard. Each type of organization has their own compensation packages based on the category of work, risk profile and responsibility. After researching, clearly write down a specific range based on your understanding. Never make mistakes while defining them. Be clear and precise. It’s always best to indicate it in a range rather than a specific denomination. A range will allow more room for negotiation. Also, you are not putting yourself at the realm of discard as you would not seem to be asking too much or too little. By knowing what type of job you are intending to join, understand the job profile well before you go for negotiating salary. Moreover as said earlier, giving a range is better. This will allow the organization to see if they will be able to negotiate. It would show how much the job demands and what all responsibilities you would carry. For example: Offshore job are being compensated differently compared to onshore jobs or Person working in highly risky area is compensated differently. Climbing the career ladder aimed at long term goals, salary would not be a constraint at this point of life. The perfect balance must be kept to see that you do consider your career as well before making decisions. Hence, do consider the pros and cons of the job, the future aspects in the job profile while disclosing your salary negotiation or expectations. It’s better to be clear so that you don’t regret later on. What is the use of having money with you when you are not being given a chance for promotions? Not always money is a crucial part of the decision. You have to counsel yourself on knowing the basic necessity for living. You need to motivate yourself to see that you are having good food, good clothes to wear and a roof over your head. Once you feel that you are being compensated well and satisfied in your heart, then your mind mainly focuses on career path. 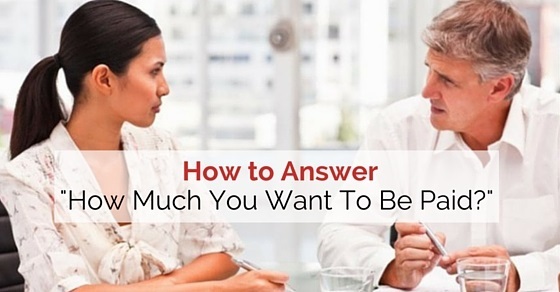 Most of the times at almost all interviews, the hiring manager puts out the question as to “what was your previous salary?” This is to know how much you were being offered and how much they need to offer to keep you with them. Now the trickiest part is to answer it very politely. Do not give in the details directly. It’s always best to put the ball in their court. Instead you could define the responsibilities and type of work that you have executed instead of revealing the compensation package. Shifting the topic from comparison should be your aim. It’s an indirect way of displaying your salary requirement. It is like asking for what their packages are with its breakup. This will help you to prepare for making your request at a later stage. Sometimes requesting for postponing to the later stage is better wherein you could ask for more information on the job profile along with salary to make your comparisons inside your mind. Sometimes, there could be a situation when you would have been a part of the activities of the previous company like holding a share wherein salary would not be high. Indicating this to them, you would need to request for the entire package they intend to offer so as to make more room to gather further information. Demonstrate what your achievements were and what difficulties you had undertaken to complete the projects on time. Achievements or accomplishments are to be said in a little bit elaborate style. As each task would have required your time and patience, inculcate to them that you are indeed patient and would turn mountains to complete the work. This would make them think about how to compensate you. By giving brief examples explaining about the details of the work executed, you would make a mark on them and make them understand that you know the job thoroughly inside out. For this, you would need to be a briefing on the job responsibilities and skill sets that you gained. Define those that would be matched against their requirements. Bringing out your achievements with proper examples would prove to them that you have the capability to handle odd situation that is part of the job. This would allow you to make you say that as per your qualifications and skills that are matching, you are looking forward to a fair and feasible offer from their side. Instead of beating around the bush, getting to know what is their offer will help you to decide. It’s not quite easy to bring out this factor, but being naive is part of the game. Speak to them asking for what they would offer as they would have already budgeted and indicate to them that further negotiations are possible. This would bring a direct response from them. Using appropriate words like ‘appreciate’, ‘budget’ is sure to put something on the table. It would also smoothen the tougher side. Most of the time, the interviewer is best person and very good in making people speak out. They have the tactic and the tricks of making a person vomit out without having to ask much. Try to observe their behaviour and mirror them. What do you need to observe? The tone of the voice, how enthusiastic he/she is, his/her body language, and most importantly the negotiations tactics. Sometimes, it helps one to get a job. Understand each question they ask and answer them appropriately. You must know that most of the time they post out leading questions. It means that by asking a question the answers given by the job seeker would lead to another question. Having to say about your career value is highly important to show that you respect the job more than money offered. Put forward your commitment to your work and ask them to say what they would offer for the position or post and how would they compensate for the job based on education and experience. It will bring out the way you value the job more than money aspects related to it. It also shows that you have a commitment towards work and value the responsibility. As the interview session proceeds, you would be coming to a stage when you would need to show that you are not hard on the desired salary figure but rather a flexible person. Once you feel that you are not getting much feedback from the interviewer, then you could say that you are flexible in your approach especially when it comes to salary negotiation. It is possible for you to ask them whether they too would be considerate in being flexible with their salary negotiations. It’s normal for everyone going for an interview to show that they are well paid there. Sometimes they go overboard. By indicating a figure that is well beyond the level, will definitely bring it out one day. To boost your future pay, don’t overstate your present salary. Being honest to some extent is required to get your job. Besides, you would need to be reasonable also keeping in mind the market trend. As there is competition wherein more skilled personnel are out there, you need to understand that not always salary would determine the post. Sometimes a person’s honesty and openness would land them with what they request for. Normally, a job seeker who is more into looking at the details of the job and interested in pursuing further in their life would not pay much heed to the salary or perks. Such people could easily get the issue closed when they say that salary is not the main criterion. You would need to indicate this at the mid of the session if you are more interested in the job rather than the perks. Sometimes jobs are more interesting when you have challenges to take up. In such cases, you would not be very much particular about the salary offered or compensation range. Of course, it would matter when you are not duly compensated. But make them to understand that you have been through challenges and looking forward to working in taking up such assignments. Also, it is advisable not to settle for what they offer. Instead, as said before, do some research and come to know what the offer terms for each type of category are. Keeping that range in mind, proceed with the interview session and come to terms with the interviewer with what they have to offer. Or you could find out from other resources of the company about the pay scales for various positions. This would help you to make out the pay scale. Sometimes, the offer may be not including the perks and other allowances. It has to be dealt carefully if you have been eligible for it. Before finalising or closing out the deal, ask them to give you a clear cut offer with more details on perks, bonuses, allowances if any. It will show how much you are worth to the company. As many companies do have certain compensation packages such as allowances for children education, house rent, travel, etc. make sure that you gather this information before you speak. Answering is the trickiest question in all interview panels. The way the company is viewing the position will depend on the pay scale. So don’t give in your figure before you get to know it. Always indicate the range and give a chance for them to show how much they need you. Justify your desired compensation or salary expectations with your experiences, Projects accomplished, achievements and skills gained that will benefit the company. Along with this get to know the number of hours as well to know that you are compensated appropriately. Keeping the above tips in mind, prepare yourself well in advance with relevant figures. Know the range that is being offered in the market but sees to it that you don’t over exaggerate or undervalue yourself. Speak to them indicating a range that is suitable for making a negotiation. Be particular while including the benefits, compensation, and bonuses. Next articleHow to Learn Turkish Language Fast and Easy?